Optional Wallace is a band from Manchester, United Kingdom. 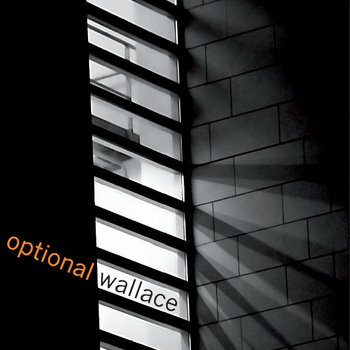 The self-titled debut album ‘Optional Wallace’ is out now, on Squealing Beagle Records. You can order a copy at the Optional Wallace shop. Website Manchester Music.co.uk describes the band’s music as “urgent post-punk indie laced with darkness and claustrophobia”, which we like. The reason for the band’s name involves a supposed mystery fourth member, who has, as yet, never shown up. Optional Wallace have had radio play on BBC 6 Music, Xfm, The Rev, GMR, BBC Manchester, Rock FM and North Manchester FM, plus on Steve Lamacq and John Kennedy’s shows. “It’s Brillian. Listen to it.” – Steve Lamacq on his BBC 6 Music Single of the Week, ‘Generation’. “Slicing 80s guitar-play, yearningly passionate vocals, deep rumbles of bass and almost gothic drumming.